Spiritual sickness troubles American medicine. Through a death-denying culture, medicine has gained enormous power-an influence it maintains by distancing itself from religion, which too often reminds us of our mortality. As a result of this separation of medicine and religion, patients facing serious illness infrequently receive adequate spiritual care, despite the large body of empirical data demonstrating its importance to patient decision-making, quality of life, and medical utilization. This secular-sacred divide also unleashes depersonalizing, social forces through the market, technology, and legal-bureaucratic powers that reduce clinicians to tiny cogs in an unstoppable machine. 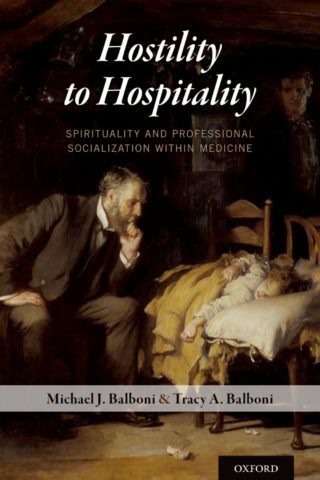 Hostility to Hospitality is one of the first books of its kind to explore these hostilities threatening medicine and offer a path forward for the partnership of modern medicine and spirituality. Drawing from interdisciplinary scholarship including empirical studies, interviews, history and sociology, theology, and public policy, the authors argue for structural pluralism as the key to changing hostility to hospitality.